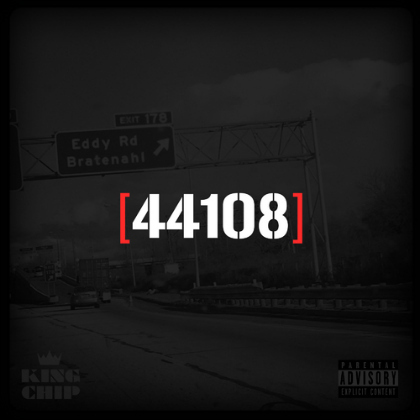 Cleveland's own King Chip (formerly known as Chip Tha Ripper) has been periodically releasing tracks over the last few months to support his 44108 mixtape, which finally hit the internet today. The mixtape title is a tribute to the Cleveland, Ohio ZIP code where Chip grew up, and he does it justice. This new tape features 19 original tracks for his loyal fan base, who can expect guest appearances from Scarface, MJG, Travi$ Scott, Fat Trel, KiD CuDi, Pusha T,Layzie Bone, Ray Cash, and more. Stay tuned as Chip gears up to release his debut album Clevelafornia late this year or early next.